Jay and Bey both put out highly anticipated albums this year and all their hard work paid off! The “hottest chick in the game” and the dude on the throne came in at at number two on Forbes’ list of the highest paid celeb couples. The dynamic duo pulled in a combined $72 million between May 2010 and May 2011. Fairly even split too. Beyonce contributed $35 million to that total. KWA MARA YA KWANZA FAT JOE AITIKISA CNN. pamoja na kuwa jina limeendelea kubaki pale pale, mtu mzima Fat Joe amepunguza kilo 40 katika mwili wake, ambapo sasa anauwezo wa kuvaa t shirt XL. "nashangaa sana attention ninayoipata kwa sasa yaani its crazy...wiki mbili zijazo CNN watakuwa kwangu, sanjay gupta (mtangazaji wa kipindi kinachisu afya (CNN) na wengine kibao lakini mimi nimejaribu kupunguza uzito kwa sababy familia yangu, niweze ku take care ya familia yangu, na niishi maisha nilipangiwa kuishi". 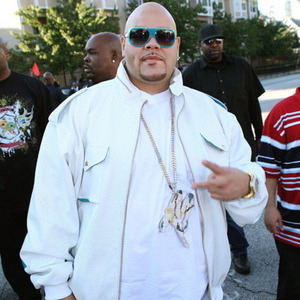 amesema Fat Joe. swali ni je? ataendelea kutumia jina hilo ama atabadilisha.? 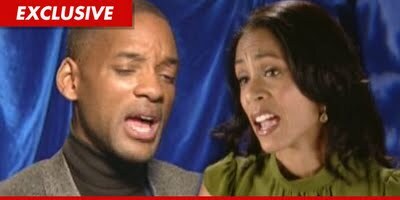 JARDA AND MARK ANTHONY REPORT: WILL SMITH WALKED IN ON THEM! A suspicious Will Smith paid a surprise visit to Jada Pinkett Smith and found her with Marc Anthony ... this according to a new report. In Touch Weekly claims in early August Will had become increasingly suspicious that his wife was having an affair with her "HawthoRNe" co-star Marc Anthony and secretly flew home from a movie shoot. The mag claims Will walked in the house, found Marc Anthony and Jada together and left the house crying. Reps for Will and Jada said Tuesday Jada had not been unfaithful to Will, specifically mentioning Marc Anthony in the denial. A source close to the couple tells TMZ ... Marc was at Jada's home, but in April not August, when he went over to look at a DVD. 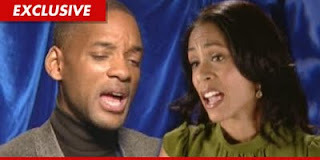 In Touch claims Jada and Will have been living separate lives for months. As we reported, sources close to the couple insist they have not separated, but there are significant problems in their marriage. Will Smith and Jada Pinkett Smith are having significant problems in their marriage, but they have NOT made a decision to separate ... at least not yet -- this according to sources connected with the couple. Reports have been swirling that the couple has separated. We're told it's "definitely a possibility" but they haven't pulled the trigger. In fact, we've learned Will, Jada and their kids are going away together soon -- as a family. Our sources would neither confirm nor deny if the trip is a last ditch effort to save the relationship. We also asked our sources about the somewhat curious statement from Will and Jada, that their marriage is "intact." Specifically, why didn't they go the more traditional PR route and say they're still in love and committed to each other? Our sources privately said, the language was carefully constructed. Will Smith and Jada Pinkett Smith just released a joint statement SHOOTING DOWN a report that they have separated. The statement reads, "Although we are reluctant to respond to these types of press reports, the rumors circulating about our relationship are completely false." The two add, "We are still together, and our marriage is intact." Leo hii ni kumbukumbu ya marehem Nelson Chrizostom Buchard (father nelly) ambae alifariki tarehe 29-03-2006,baada ya kuchomwa kisu mpaka kufariki, ni miaka mitano sasa toka Father Nelly alipotutoka duniani, ni nguzo iliyokuwa ngumu kabisa katika kundi la Xplastaz na mpaka leo ataendelea kukumbukwa. Zone Fam is the Premiere Hip Hop Group in Zambia. Deriving their name from a studio they frequented in their earlier days 'The Zone' the group consists of six emcees that includes The Holstar,Al Kan-I, Dope G,Jay Rox,Yung Verbal and Thugga. Zone Currently have two singles out titled "Mabhodlela (Bottles)" and Shaka Zulu On Em. Their debut album "The Bizness (Foreign Exchange) is set for released mid 2011.
lori hili lilipakia vitu na kupeleka na kurudi zaidi ya mara tatu. Batoo,Artist wa reggae danchall anakuambia huyu manzi yake ni "so fine" katika pini hili alofanya pale noizmekah arusha lenye mzukawa kukufanya unyanyuke na kucheza. "huu ni mmwaka tofauti na mingine kwa maana nime switch swagger kwa hivyo bas mafans wangu wa nguvu wakae tayari tayari kunipokea kitofauti coz style yangu mpya kabisa ya "rude rap" ndo itawateka mwaka huu...thanx sana kwa media zote hapa nyumbani zinazosupport muziki wangu" anasema "batoo"
"Inawezekanaje kumtafuta mtu usie mjua? ?alafu unafanya interview ma elfu wanakusikiliza unasema humjui mtu uliemuomba aje afanye track nawewe tena kwa kuombaa sana,haarufu ya umaaarufu inawaponza watu kama hawa,kweli jamaa ana feli sana na hata kuifanya hiyo Sharobaro ichukuliwe kivingine.. sina bifu na jamaaa nilikua nataka kusolve situation ya miaka mitatu nyuma nayeye ila nimegundua ni vigumu kusolve situation na sh*ga..
5. Maumivu / Ben Po feat One " Namfeel sana kuanzia utunzi wake na melody"
2. Sumu yapenzi / Belle 9 " hii ndio ngoma yangu kwa kwanza kabisa kunitambulisha kwenye game. 1. 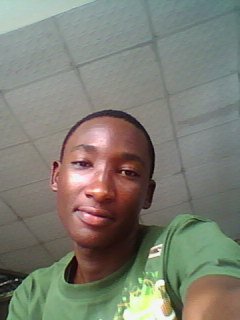 Nilipe Nisepe / Belle 9 " brand new track imetengenezwa Masanjuo records"
Am here to show love to each other.